"Having experienced Joe's arranging talents, as a guest of DePaul University's Jazz Ensemble, I was excited about playing HIS compositions in HIS ensemble for this recording. He sure has many ways to express himself and knows the right musicians to call who understand his music. It was easy for me to walk in and feel right at home with this group. Graham Carter, owner-operator of JazzedMedia and drummer Jeff Hamilton are at it again doing good things for Jazz. This time it involves a February 12, 2013 release of a new JazzedMedia CD by the Joe Clark Big Band Featuring Jeff Hamilton [JM1060]. Once upon a time, the United States State Department sent Jazz musicians like Duke Ellington, Dizzy Gillespie and Dave Brubeck around the world as spokespeople for the music and the American way-of-life. Jeff Hamilton has become a modern-day counterpart of these adventures in music appreciation although his preach-the-faith-of-Jazz junkets are more domestic in their focus. Whether it be performing and conducting clinics at the Port Townsend, WA Jazz Festival, recording with the DePaul University Jazz Orchestra or being a guest performer at the Central Michigan University Jazz Weekend in Mount Pleasant, MI, Jeff is constantly sharing his skills and his talents to make the Jazz World a better place. 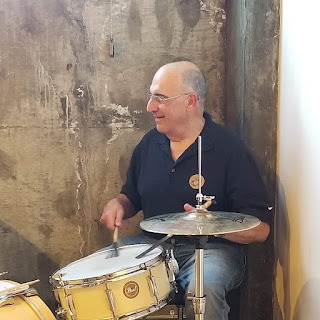 Following his 2012 appearance with DePaul University’s Jazz Orchetsra [also released as a Jazzed Media CD], Jeff’s latest venture finds him back in Chicago, IL once again, this time as the featured drummer and soloist with arranger-composer Joe Clark’s Big Band. 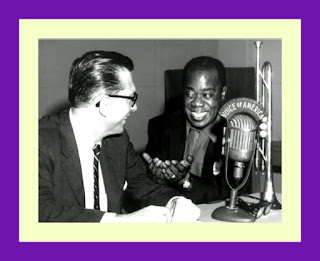 And who better to produce a recording of Jeff’s fun meeting with Joe Clark’s big band than Graham Carter. Thanks to his frequent appearances at nearby Jazz clubs and Jazz festivals, I feel the same way while watching Jeff play drums. I’m always enthralled with Jeff’s drumming. He gets around the instrument so fluidly and always has interesting things “to say.” If anyone has taken on Shelly’s legacy of melodic and musical drumming, it’s Jeff. Dating back to his years with Woody Herman through to his current co-leadership of The Clayton Hamilton Orchestra, Jeff knows how to kick a big band. 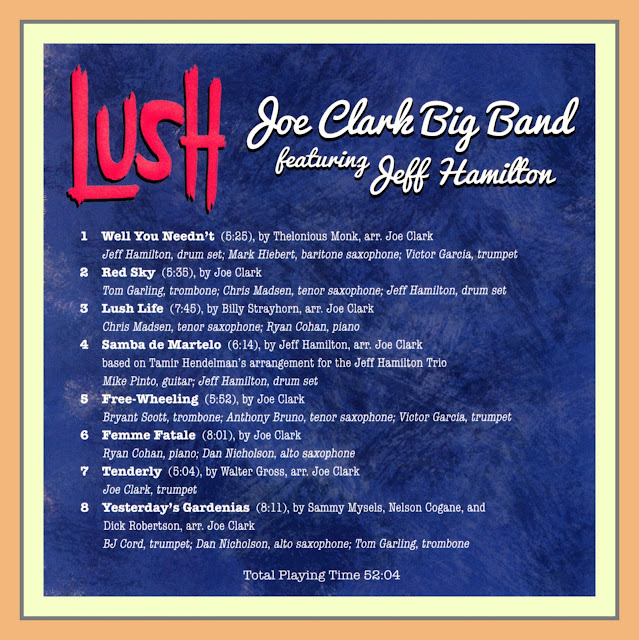 Because he writes them in a linear or horizontal style, Joe Clark takes full advantage of Jeff’s brilliance as a big band drummer with his arrangements on Joe Clark Big Band Featuring Jeff Hamilton [JazzedMedia JM1060]. 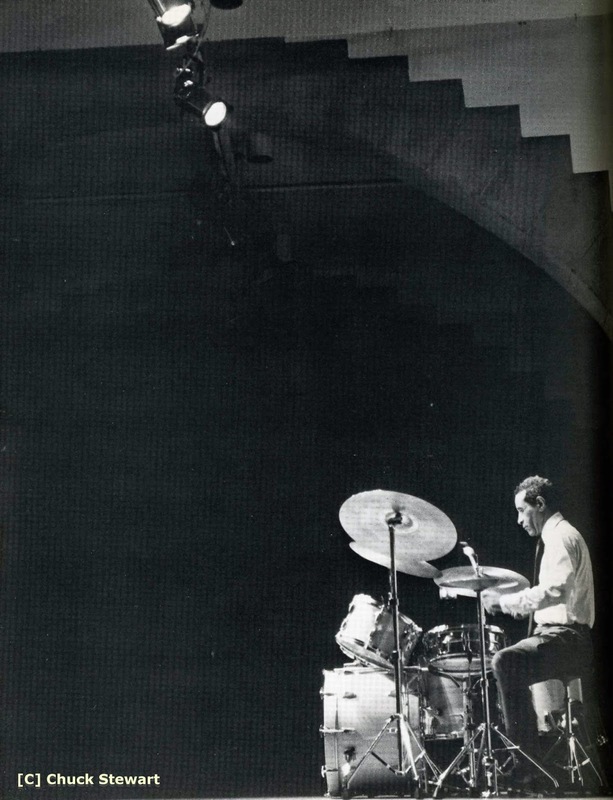 Think drummer Mel Lewis playing Gerry Mulligan or Bill Holman charts with Stan Kenton or the Terry Gibbs Dream Band and you’ll get some idea of how evenly Joe’s writing flows with Jeff in the drum chair. 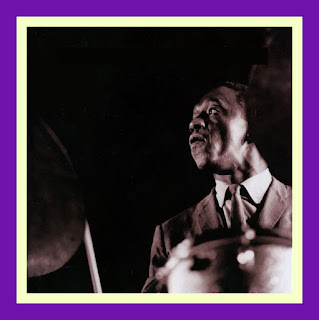 The eight tracks on Joe Clark Big Band Featuring Jeff Hamilton consist of three originals by Joe, one by Jeff, and four standards: Monk’s Well You Needn’t, Billy Strayhorn’s Lush Life and beautiful, ballad versions of Tenderly and Yesterday’s Gardenias. The great thing about the inclusion of the four standards is that their familiarity gives the listener and opportunity to “set his/her ears” in order to better appreciate what is going on in Joe’s arrangements. One feature of Joe’s writing that jumps out at you is how balanced it is. He knows the range of each instrument in the band and he reflects this knowledge by blending the instrumental sections in such a way that the sound of his music has a richness and a fullness to it. It’s not all about trumpets screeching high notes and bass trombones and baritone saxophones punching out pedal tones. No jumbled mass of sound, Joe’s writing allows melodic lines to play out; it doesn’t sound rushed or cluttered. With Jeff stoking the fire in the band’s engine room, Joe’s arrangements keep things simple and allow the band to pulsate under Jeff’s rhythmic guidance. His charts follow a distinctive, linear logic with the result that they produce a rush of excitement which can only come from big band Jazz when it is performed by musicians who listen to one another and jell as a unit. Joe’s arrangements share the solo spotlight among a number of band members. BJ Cord, Victor Garcia and Joe, himself, on trumpet, Tom Garling and Bryant Scott on trombone, Dan Nicholson on alto saxophone, Anthony Bruno and Chris Madsen on tenor saxophone, guitarist Mike Pinto and pianist Ryan Cohan: each bring forth solos that reflect their influences while also offering strong indications of their own voices. And then, of course, there’s Jeff Hamilton, who, along with the excellent bass work of Joe Policastro, moves things forward with his masterful kicks, licks and fills, always putting a premium on swinging. 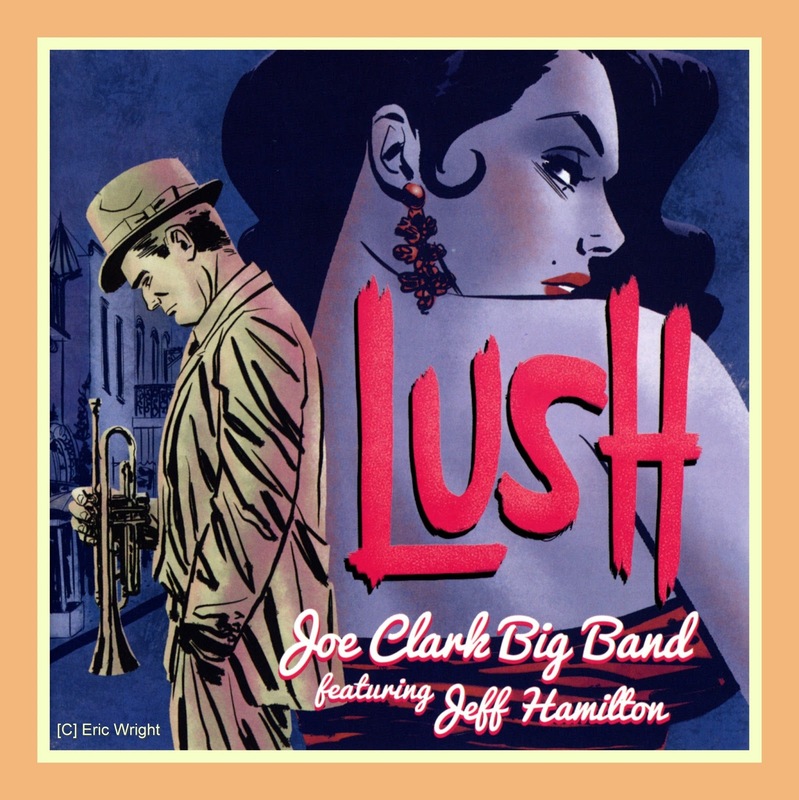 Joe Clark Big Band Featuring Jeff Hamilton [JazzedMedia JM1060] is a treat that continues the tradition of swinging big band Jazz while, at the same time, refreshing and enhancing it with new ideas, new energies and news sounds. Michael Bloom is once again handling the media relations for Graham and Jazzed Media and he sent along the following press release which further describes the recording and gives some background on Joe Clark’s career to date. © -Graham Carter/Mark Hiebert/Jazzed Media, copyright protected; all rights reserved. The title of this album is Lush. The word "lush" by itself can describe a man who drinks and becomes flirtatious, or it can depict something that is savory and appealing to the senses. 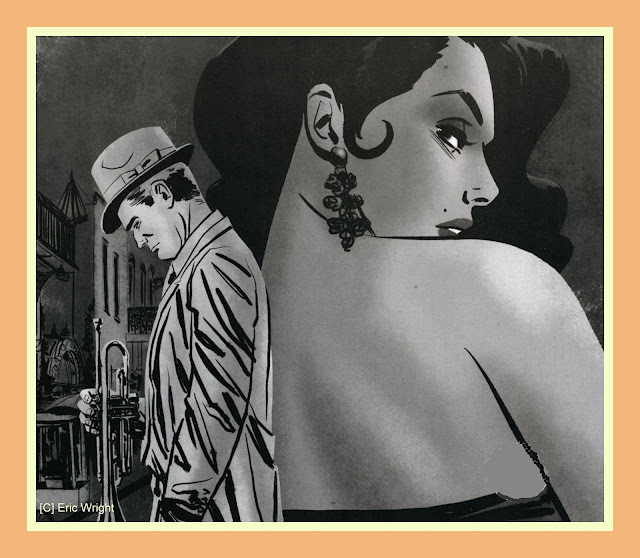 The album includes a little of both, with characters like the Femme Fatale living in an unwritten story set in the streets of New Orleans, along with some of the richest and most beautiful new music in the big band repertoire. The listener will quickly fall in love with Joe's musical characters that show us humor, heartbreak, love, and beauty as their story unfolds. Joe Clark grew up 35 miles southwest of Chicago in Lockport, IL. After high school, he moved into the city to pursue Composition and Jazz Studies degrees from DePaul University. Joe quickly became a top-call composer and arranger for the Chicagoland area. Already, Joe's arrangements and compositions have been performed by renowned Grammy-award winning artists such as Yo-Yo Ma, Renee Fleming, Phil Woods, and Ira Sullivan; musicians from the Chicago Symphony Orchestra, Chicago Sinfonietta, and Grant Park Orchestra; the Rob Parton and Tom Matta Big Bands; and the DePaul University Jazz Ensemble and Alumni Big Band. Lush is his first of many albums to come as a leader. "I think it was remarkable to everyone involved how quickly the band jelled. From the first moment of rehearsal, it was clear that we were ready to seriously play...the studio sessions were just easy and felt right from the get-go. 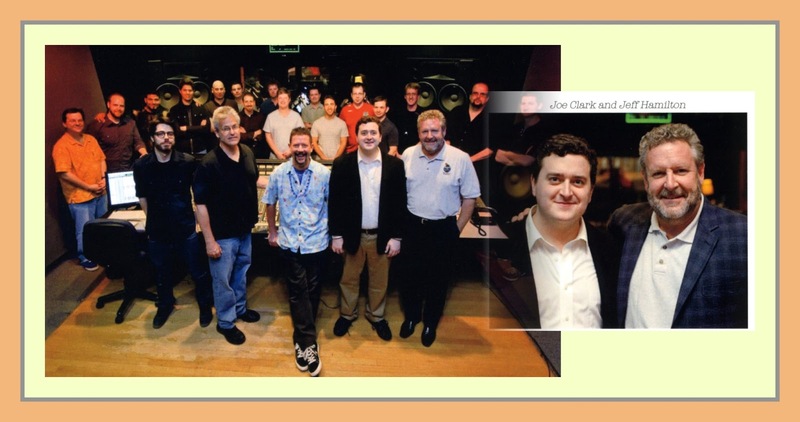 Joe's music combined with the personnel selections he made created a warm atmosphere of collaboration and it just felt natural," commented tenor saxophonist Chris Madsen. The group had never played together before its only rehearsal, and flourished under veteran leadership from lead alto saxophonist, Dan Nicholson; lead trombonist, Andy Baker; lead trumpeters, Chuck Parrish and Brent Turney; drummer, Jeff Hamilton; and conductor, Dr. Bob Lark. Bass trombonist Tom Matta was also tremendously influential throughout the session. "Joe has put together one helluva band for this debut recording, and I am as thrilled to be a part of it as I was excited and proud to have Joe as a student all these years at DePaul. The writing, the ensemble, and the soloists are all top-notch. And the drummer is pretty good, too!" Joe reciprocated, It was a real honor to have my composing mentor Tom Matta in the band, sitting right in front of me during the session. He not only dominates that bass trombone, he's taught me so much about the art of the big band. I owe him a lot." Malta's influence was also apparent to Tom Garling, who commented, "It reminded me a little of Gordon Goodwin, with a twist of Tom Matta for hip-ness." It would be impossible to describe the session and not mention the great contributions of Jeff Hamilton. "Jeff Hamilton is THE DRUMMER'. He is a real artist-Baryshnikov of the beat. Before our first rehearsal, we sat and talked about the charts-he was always looking for deeper artistic depths, more detail, more ways of enhancing the arrangement. He is a deeply caring and professional musician," says Joe. 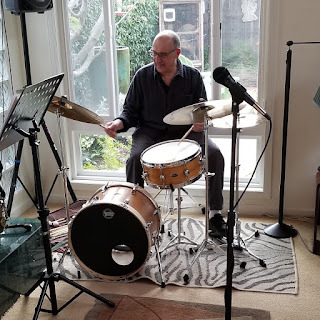 Jeff brought his unparalleled talents to the table along with his original composition, Samba de Martelo, which Joe arranged to feature the drums. The rest of the rhythm section was also truly outstanding. Pianist Ryan Cohan, guitarist Mike Pinto, and bassist Joe Policastro displayed consummate professionalism and complete musicianship throughout the session. They were deeply involved with the decision making process in the booth and in the studio, always striving for the most authentic sound and feel for the music. The listener will instantly appreciate the deep grooves and artful comping. "The rest of the band is nothing short than the best musicians I've ever had the privilege to play with. Months before the session, as I was in the early stages of planning, I was totally giddy with the prospect of getting these guys all in the same room to make music together. What's exciting to me is how each individual's personality shined through in the recording. The soloists are amazing—each in their own unique personal way," said Joe. "Recording a big band album is like pulling a heist. I had been writing and dreaming for years and since the time was right and I won a generous artist's prize (God bless Nik Edes and the Edes Foundation), I could put together a dream team. Like a heist, everyone has specific roles that need to be executed with precision and since our session was only for a couple days, everything had to go off without a hitch. So time was of the essence and I was fortunate to recruit the very best." The album is made up of five arrangements and three originals. 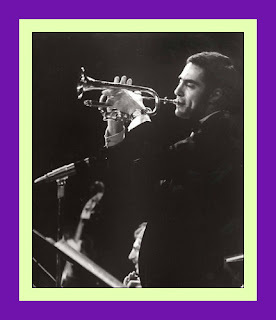 Joe shines as an arranger with his Nelson Riddle-inspired Lush Life …, funky second-line infused Well You Needn't, thoughtfully orchestrated Tenderly, inventive Samba de Martelo, and hard-swinging Yesterday's Gardenias. His real compositional voice is most apparent in his three originals: Red Sky, Free-Wheeling, … and Femme Fatale. The one-take performance of Red Sky most clearly reflects Joe's deep understanding of composition and orchestration. Free-Wheeling, like Well You Needn't, reflects Joe's passion for the greasy sound of New Orleans brass bands. And Femme Fatale gives the world a look into Joe's film-noir-savvy mind. This album was an absolute pleasure to be a part of, and the listener is in for a real treat. There is more in store for this group because as Joe said himself, "this is just the beginning" of the next wave of great Chicago music. Joe Clark is an active composer and arranger of music in a wide variety of styles and idioms. 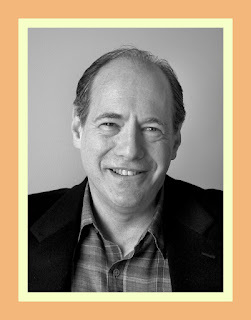 Working with Dr. Cliff Colnot, Clark is an arranger for The Institute for Learning, Access and Training at the Chicago Symphony Orchestra, writing for the Once Upon a Symphony and Orchestra Explorers programs. Joe's music has been performed by Yo-Yo Ma, Renee Fleming, Phil Woods, Ira Sullivan, Jim McNeely, the Chicago Sinfonietta, Bob Lark and his Alumni Big Band, the Tom Matta Big Band, Mulligan Mosaics Nonet, DePaul University Jazz Ensemble, University of Cincinnati CCM Jazz Lab Band, Chicago Q Ensemble, thingNY, Julia Bentley and the Spektral Quartet, and players from the Grant Park Symphony and the Chicago Symphony Orchestra. His horn arrangements can be heard on Kanye West and Malik Yusefs "G.O.O.D. Morning G.O.O.D. Night". Joe has also written extensively for live theater and film, including fruitful collaborations with director Catherine Weidner and writer/director Kyle Higgins. Joe's awards include multiple Union League Civic and Arts Foundation Awards, the Sidney and Mary Kleinman Composition Award, a DownBeat Student Music Award, and the Claire and Samuel Edes Foundation Prize for Emerging Artists. 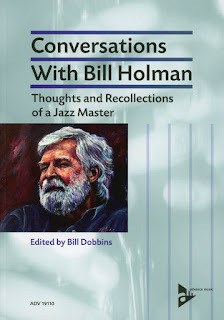 You can locate order information on the CD at www.jazzedmedia.com and at www.joeclarkbigband.com. The following video will provide you with a taste of what’s on offer. The tune is Joe’s original composition Free-Wheeling with solos by Bryant Scott on trombone, Anthony Bruno on tenor saxophone and Victor Garcia on trumpet.